The Achieving a Better Life Experience (ABLE) Act of 2014 created a tax-advantaged savings account for people who have a qualifying disability (or are blind) before age 26. Modeled after the well-known Section 529 college savings plan, ABLE accounts offer many benefits. But it’s important to understand their limitations. Like Section 529 plans, state-sponsored ABLE accounts allow parents and other family and friends to make substantial cash contributions. Contributions aren’t tax deductible, but accounts can grow tax-free, and earnings may be withdrawn free of federal income tax if they’re used to pay qualified expenses. ABLE accounts can be established under any state ABLE program, regardless of where you or the disabled account beneficiary live. In the case of a Section 529 plan, qualified expenses include college tuition, room and board, and certain other higher education expenses. For ABLE accounts, “qualified disability expenses” include a broad range of costs, such as health care, education, housing, transportation, employment training, assistive technology, personal support services, financial management, legal expenses, and funeral and burial expenses. Assets in an ABLE account aren’t counted, with two exceptions: 1) Distributions used for housing expenses count, and 2) if the account balance exceeds $100,000, the beneficiary’s eligibility for SSI is suspended so long as the excess amount remains in the account. ABLE accounts offer some attractive benefits, but they’re far less generous than those offered by Sec. 529 plans. Maximum contributions to 529 plans vary from state to state, but they often reach as high as $350,000 or more. The same maximum contribution limits generally apply to ABLE accounts, but practically speaking they’re limited to $100,000, given the impact on SSI benefits. Like a 529 plan, an ABLE account allows investment changes only twice a year. But ABLE accounts also impose an annual limit on contributions equal to the annual gift tax exclusion (currently $14,000). There’s no annual limit on contributions to Sec. 529 plans. ABLE accounts have other limitations and disadvantages as well. Unlike a Sec. 529 plan, an ABLE account doesn’t allow the person who sets up the account to be the owner. Rather, the account’s beneficiary is the owner. However, a person with signature authority — such as a parent, legal guardian or power of attorney holder — can manage the account if the beneficiary is a minor or otherwise unable to manage the account. Nevertheless, contributions are irrevocable and the account’s funders may not make withdrawals. The beneficiary can be changed to another disabled individual who’s a family member of the designated beneficiary. Finally, be aware that, when an ABLE account beneficiary dies, the state may claim reimbursement of its net Medicaid expenditures from any remaining balance. If you have a child or relative with a disability in existence before age 26, it’s worth exploring the feasibility of an ABLE account. Please contact our firm for more details. So You Just Filed Your Taxes - Could an Audit Be Next? Like many people, you probably feel a great sense of relief wash over you after your tax return is completed and filed. Unfortunately, even professionally prepared and accurate returns may sometimes be subject to an IRS audit. The good news? Chances are slim that it will actually happen. Only a small percentage of returns go through the full audit process. Still, you’re better off informed than taken completely by surprise should your number come up. Bear in mind, though, that no single item will cause an audit. And, as mentioned, a relatively low percentage of returns are examined. This is particularly true as the IRS grapples with its own budget issues. Finally, some returns are randomly chosen as part of the IRS’s National Research Program. Through this program, the agency studies returns to improve and update its audit selection techniques. Read the notice through carefully. The pages should indicate the items to be examined, as well as a deadline for responding. A timely response is important because it conveys that you’re organized and, thus, less likely to overlook important details. It also indicates that you didn’t need to spend extra time pulling together a story. Should an IRS notice appear in your mail, please contact our office. We can fully explain what the agency is looking for and help you prepare your response. If the IRS requests an in-person interview regarding the audit, we can accompany you — or even appear in your place if you provide authorization. 1. Is the specific area of the home that’s used for business purposes used only for business purposes, not personal ones? 2. Is the space used regularly and continuously for business? January 2017 Update - DAFs Bring an Investment Angle to Charitable Giving & Need to Sell Real Property? If you're planning to make significant charitable donations in the coming year, consider a donor-advised fund (DAF). These accounts allow you to take a charitable income tax deduction immediately, while deferring decisions about how much to give — and to whom — until the time is right. A DAF is a tax-advantaged investment account administered by a not-for-profit "sponsoring organization", such as a community foundation or the charitable arm of a financial services firm. Contributions are treated as gifts to a Section 501(c)(3) public charity, which are deductible up to 50% of adjusted gross income (AGI) for cash contributions and up to 30% of AGI for contributions of appreciated property (such as stock). Unused deductions may be carried forward for up to five years, and funds grow tax-free until distributed. Although contributions are irrevocable, you're allowed to give the account a name and recommend how the funds will be invested (among the options offered by the DAF) and distributed to charities over time. You can even name a successor advisor, or prepare written instructions, to recommend investments and charitable gifts after your death. Technically, a DAF isn't bound to follow your recommendations. But in practice, DAFs almost always respect donors' wishes. Generally, the only time a fund will refuse a donor's request is if the intended recipient isn't a qualified charity. As mentioned, DAF owners can immediately deduct contributions but make gifts to charities later. Consider this scenario: Rhonda typically earns around $150,000 in AGI each year. In 2017, however, she sells her business, lifting her income to $5 million for the year. Rhonda decides to donate $500,000 to charity, but she wants to take some time to investigate charities and spend her charitable dollars wisely. By placing $500,000 in a DAF this year, she can deduct the full amount immediately and decide how to distribute the funds in the coming years. If she waits until next year to make charitable donations, her deduction will be limited to $75,000 per year (50% of her AGI). Even if you have a particular charity in mind, spreading your donations over several years can be a good strategy. It gives you time to evaluate whether the charity is using the funds responsibly before you make additional gifts. A DAF allows you to adopt this strategy without losing the ability to deduct the full amount in the year when it will do you the most good. Another key advantage is capital gains avoidance. An effective charitable-giving strategy is to donate appreciated assets — such as securities or real estate. You're entitled to deduct the property's fair market value, and you can avoid the capital gains taxes you would have owed had you sold the property. But not all charities are equipped to accept and manage this type of donation. Many DAFs, however, have the resources to accept contributions of appreciated assets, liquidate them and then reinvest the proceeds. A DAF can also help you streamline your estate plan and donate to a charity anonymously. Requirements and fees vary from fund to fund, however. Please contact our firm for help finding one that meets your needs. If your company owns real property, or you do so individually, you may not always be able to dispose of it as quickly as you'd like. One avenue for perhaps finding a buyer a little sooner is an installment sale. An installment sale occurs when you transfer property in exchange for a promissory note and receive at least one payment after the tax year of the sale. Doing so allows you to receive interest on the full amount of the promissory note, often at a higher rate than you could earn from other investments, while deferring taxes and improving cash flow. But there may be some disadvantages for sellers. For instance, the buyer may not make all payments and you may have to deal with foreclosure. You generally must report an installment sale on your tax return under the "installment method." Each installment payment typically consists of interest income, return of your adjusted basis in the property and gain on the sale. For every taxable year in which you receive an installment payment, you must report as income the interest and gain components. Calculating taxable gain involves multiplying the amount of payments, excluding interest, received in the taxable year by the gross profit ratio for the sale. The gross profit ratio is equal to the gross profit (the selling price less your adjusted basis) divided by the total contract price (the selling price less any qualifying indebtedness — mortgages, debts and other liabilities assumed or taken by the buyer — that doesn't exceed your basis). The selling price includes the money and the fair market value of any other property you received for the sale of the property, selling expenses paid by the buyer and existing debt encumbering the property (regardless of whether the buyer assumes personal liability for it). You may be considered to have received a taxable payment even if the buyer doesn't pay you directly. If the buyer assumes or pays any of your debts or expenses, it could be deemed a payment in the year of the sale. In many cases, though, the buyer's assumption of your debt is treated as a recovery of your basis, rather than a payment. The rules of installment sales are complex. Please contact us to discuss this strategy further. December 2016 Update - 7 Last-Minute Tax-Saving Tips & Are Catch-Up Contributions For You? November 2016 Update - Donating Appreciated Stock & Is the Sales Tax Deduction Right for You? When many people think about charitable giving, they picture writing a check or dropping off a cardboard box of nonperishable food items at a designated location. But giving to charity can take many different forms. One that you may not be aware of is a gift of appreciated stock. Yes, donating part of your portfolio is not only possible, but it also can be a great way to boost the tax benefits of your charitable giving. 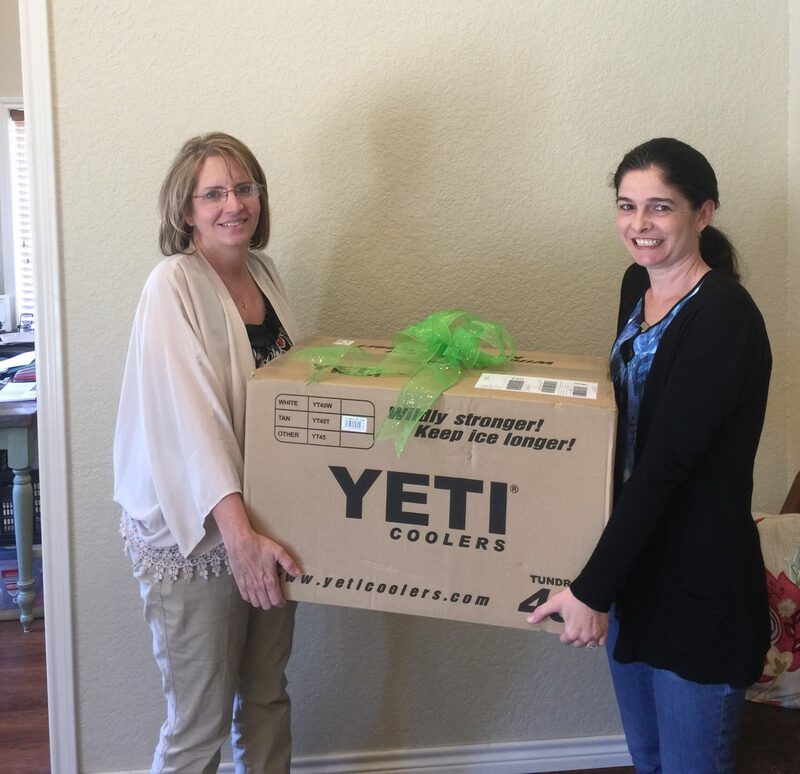 Many charitable organizations are more than happy to receive appreciated stock as a gift. It’s not unusual for these entities to maintain stock portfolios, and they’re also free to sell donated stock. As a donor, contributing appreciated stock can entitle you to a tax deduction equal to the securities’ fair market value — just as if you had sold the stock and contributed the cash. But neither you nor the charity receiving the stock will owe capital gains tax on the appreciation. So you not only get the deduction, but also avoid a capital gains hit. The key word here is “appreciated”. The strategy doesn’t work with stock that’s declined in value. If you have securities that have taken a loss, you’ll be better off selling the stock and donating the proceeds. This way, you can take two deductions (up to applicable limits): one for the capital loss and one for the charitable donation. Inevitably, there are restrictions on deductions for donating appreciated stock. Annually you may deduct appreciated stock contributions to public charities only up to 30% of your adjusted gross income (AGI). For donations to nonoperating private foundations, the limit is 20% of AGI. Any excess can be carried forward up to five years. So, for example, if you contribute $50,000 of appreciated stock to a public charity and have an AGI of $100,000, you can deduct just $30,000 this year. You can carry forward the unused $20,000 to next year. Whatever amount (if any) you can’t use next year can be carried forward until used up or you hit the five-year mark, whichever occurs first. Moreover, you must have owned the security for at least one year to deduct the fair market value. Otherwise, the deduction is limited to your tax basis (generally what you paid for the stock). Also, the charity must be a 501(c)(3) organization. Last, these rules apply only to appreciated stock. If you donate a different form of appreciated property, such as artwork or jewelry, different requirements apply. A donation of appreciated stock may not be the simplest way to give to charity. But, for the savvy investor looking to make a positive difference and manage capital gains tax liability, it can be a powerful strategy. Please contact our firm for help deciding whether it’s right for you and, if so, how to properly execute the donation. Is The Sales Tax Deduction Right For You? As the year winds down, many people begin to wonder whether they should put off until next year purchases they were considering for this year. One interesting wrinkle to consider from a tax perspective is the sales tax deduction. This tax break allows taxpayers to take an itemized deduction for state and local sales taxes in lieu of state and local income taxes. It was permanently extended by the Protecting Americans from Tax Hikes Act of 2015. The deduction is obviously valuable to those who reside in states with no or low income tax. But it can also substantially benefit taxpayers in other states who buy a major item, such as a car or boat. Because the break is now permanent, there’s no urgency to make a large purchase this year to take advantage of it. Nonetheless, the tax impact of the deduction is worth considering. For example, let’s say you buy a new car in 2016, your state and local income tax liability for the year is $3,000, and the sales tax on the car is also $3,000. This may sound like a wash, but bear in mind that, if you elect to deduct sales tax, you can deduct all of the sales tax you’ve paid during the year — not just the tax on the car purchase. To claim the deduction, you need not keep receipts and track all of the sales tax you’ve paid this year. You can simply use an IRS sales tax calculator that will base the deduction on your income and the sales tax rates in your locale, plus the tax you actually pay on certain major purchases. Then again, if you retain documentation for your purchases, you might enjoy a larger deduction. The “actual receipt” approach could result in a sizable deduction if you’ve made a number of notable purchases in the past year that don’t qualify to be added on to the sales tax calculator amount. Examples include furnishing a new home, investing in high-value electronics or software, or purchasing expensive jewelry (such as engagement and wedding rings). The sales tax deduction offers an opportunity to save tax dollars while buying the items you want or need. Let us help you determine whether it’s right for you. October 2016 Update - Take the Worry Out of Business Valuations & Have a Pension? Appraisals can inspire anxiety for many business owners. And it’s understandable why. You’re obviously not short on things to do, and valuations cost time and money. Nonetheless, there are some legitimate reasons to obtain an appraisal regularly or, at the very least, to familiarize yourself with the process so you’re ready when the time comes. Perhaps the most common purpose of a valuation is a prospective ownership transfer. Yet strategic investments (such as a new product or service line) can also greatly benefit from an accurate appraisal. As growth opportunities arise, business owners have only limited resources to pursue chosen strategies. A valuation can help plot the most likely route to success. But hold on — you might say, why not simply rely on our tried-and-true projected financial statements for strategic planning? One reason is that projections ignore the time value of money because, by definition, they describe what’s going to happen given a set of circumstances. Thus, it can be difficult to compare detailed projections against other investments under consideration. Valuators, however, can convert your financial statement projections into cash flow projections and then incorporate the time value of money into your decision making. For instance, in a net present value (NPV) analysis, an appraiser projects each alternative investment’s expected cash flows. Then he or she discounts each period’s projected cash flow to its present value, using a discount rate proportionate to its risk. If the sum of these present values — the NPV — is greater than zero, the investment is likely worthwhile. When comparing alternatives, a higher NPV is generally better. 1. Purpose. There’s no such thing as a recreational valuation. Each one needs to have a specific purpose. This could be as clear-cut as an impending sale. Or perhaps an owner is divorcing his spouse and needs to determine the value of the business interest that’s includable in the marital estate. In other cases, an appraisal may be driven by strategic planning. Have I grown the business enough to cash out now? Or how much further could we grow based on our current estimated value? The valuation’s purpose strongly affects how an appraiser will proceed. 2. Standard of value. Generally, business valuations are based on “fair market value” — the price at which property would change hands in a hypothetical transaction involving informed buyers and sellers not under duress to buy or sell. But some assignments call for a different standard of value. For example, say you’re contemplating selling to a competitor. In this case, you might be best off getting an appraisal for the “strategic value” of your company — that is, the value to a particular investor, including buyer-specific synergies. 3. Basis of value. Private business interests typically are designated as either “controlling” or “minority” (nonmarketable). In other words, do you truly control your company or are you a noncontrolling owner? Defining the appropriate basis of value isn’t always straightforward. Suppose a business is split equally between two partners. Because each owner has some control, stalemates could impair decision-making. An appraiser will need to definitively establish basis of value when selecting a valuation methodology and applying valuation discounts. Often, we all find it difficult to be objective about the things we hold close. There are few better examples of this than business owners and their companies. But a valuation can provide you with an unbiased, up-to-date perspective on your business that can help you make better decisions about its future. When it comes to tax planning, you’ve got to be ready for anything. For example, do you know whether you’re likely to be subject to the alternative minimum tax (AMT) when you file your 2016 return? If not, you need to find out now so that you can consider taking steps before year end to minimize potential liability. The AMT was established to ensure that high-income individuals pay at least a minimum tax, even if they have many large deductions that significantly reduce their “regular” income tax. If your AMT liability is greater than your regular income tax liability, you must pay the difference as AMT, in addition to the regular tax. AMT rates begin at 26% and rise to 28% at higher income levels. The maximum rate is lower than the maximum income tax rate of 39.6%, but far fewer deductions are allowed, so the AMT could end up taking a bigger tax bite. For instance, you can’t deduct state and local income or sales taxes, property taxes, miscellaneous itemized deductions subject to the 2% floor, or home equity loan interest on debt not used for home improvements. You also can’t take personal exemptions for yourself or your dependents, or the standard deduction if you don’t itemize your deductions. Timing deductible expenses. Try to time the payment of expenses that are deductible for regular tax purposes but not AMT purposes for years in which you don’t anticipate AMT liability. Otherwise, you’ll gain no tax benefit from those deductions. If you’re on the threshold of AMT liability this year, you might want to consider delaying state tax payments, as long as the late-payment penalty won’t exceed the tax savings from staying under the AMT threshold. Failing to plan for the AMT can lead to unexpected — and undesirable — tax consequences. Please contact us for help assessing your risk and, if necessary, implementing the appropriate strategies for your situation. Sidebar: Does this sound familiar? Interest income from private activity municipal bonds. When 529 plans first hit the scene, circa 1996, they were big news. Nowadays, they’re a common part of the college-funding landscape. But don’t forget about them — 529 plans remain a valid means of saving for the rising cost of tuition and more. 529 plans are generally sponsored by states, though private institutions can sponsor 529 prepaid tuition plans. Just about anyone can open a 529 plan. And you can name anyone, including a child, grandchild, friend, or even yourself, as the beneficiary. Investment options for 529 savings plans typically include stock and bond mutual funds, as well as money market funds. Some plans offer age-based portfolios that automatically shift to more conservative investments as the beneficiaries near college age. Earnings in 529 savings plans typically aren’t subject to federal tax, so long as the funds are used for the beneficiary’s qualified educational expenses. This can include tuition, room and board, books, fees, and computer technology at most accredited two- and four-year colleges and universities, vocational schools, and eligible foreign institutions. Many states offer full or partial state income tax deductions or other tax incentives to residents making 529 plan contributions, at least if the contributions are made to a plan sponsored by that state. You’re not limited to participating in your own state’s plan. You may find you’re better off with another state’s plan that offers a wider range of investments or lower fees. While 529 plans can help save taxes, they have some downsides. Amounts not used for qualified educational expenses may be subject to taxes and penalties. A 529 plan also might reduce a student’s ability to get need-based financial aid, because money in the plan isn’t an “exempt” asset. That said, 529 plan money is generally treated more favorably than, for instance, assets in a custodial account in the student’s name. Just like other investments, those within 529s can fluctuate with the stock market. And some plans charge enrollment and asset management fees. Finally, in the case of prepaid tuition plans, there may be some uncertainty as to how the benefits will be applied if the student goes to a different school. The tax rules governing 529 savings plans can be complex. So please give us a call. We can help you determine whether a 529 plan is right for you. Yet, despite their appeal, 401(k) loans present significant risks. Although you pay the interest to yourself, you lose the benefits of tax-deferred compounding on the money you borrow. You may have to reduce or eliminate 401(k) contributions during the loan term, either because you can’t afford to contribute or because your plan prohibits contributions while a loan is outstanding. Either way, you lose any future earnings and employer matches you would have enjoyed on those contributions. Loans, unless used for a personal residence, must be repaid within five years. Generally, the loan terms must include level amortization, which consists of principal and interest, and payments must be made no less frequently than quarterly. Additionally, if you’re laid off, you’ll have to pay the outstanding balance quickly — typically within 30 to 90 days. Otherwise, the amount you owe will be treated as a distribution subject to income taxes and, if you’re under age 59½, a 10% early withdrawal penalty. If you need the money for emergency purposes, rather than recreational ones, determine whether your plan offers a hardship withdrawal. Some plans allow these to pay certain expenses related to medical care, college, funerals and home ownership — such as first-time home purchase costs and expenses necessary to avoid eviction or mortgage foreclosure. Even if your plan allows such withdrawals, you may have to show that you’ve exhausted all other resources. Also, the amounts you withdraw will be subject to income taxes and, except for certain medical expenses or if you’re over age 59½, a 10% early withdrawal penalty. Like plan loans, hardship withdrawals are costly. In addition to owing taxes and possibly penalties, you lose future tax-deferred earnings on the withdrawn amounts. But, unlike a loan, hardship withdrawals need not be paid back. And you won’t risk any unpleasant tax surprises should you lose your job. In many cases, parents take a simplified approach to their child’s investment income. They choose to include their son’s or daughter’s investment income on their own return rather than have him or her file a return of their own. Basically, if a child’s interest and dividend income (including capital gains distributions) total more than $1,500 and less than $10,500, parents may make this election. But a variety of other requirements apply. For example, the unearned income in question must come from only interest and dividends. One of the great things about setting up a home office is that you can make it as comfy as possible. Assuming you’ve done that, another good idea is getting comfortable with the home office deduction. To qualify for the deduction, you generally must maintain a specific area in your home that you use regularly and exclusively in connection with your business. What’s more, you must use the area as your principal place of business or, if you also conduct business elsewhere, use the area to regularly conduct business, such as meeting clients and handling management and administrative functions. If you’re an employee, your use of the home office must be for your employer’s benefit. The only option to calculate this tax break used to be the actual expense method. With this method, you deduct a percentage (proportionate to the percentage of square footage used for the home office) of indirect home office expenses, including mortgage interest, property taxes, association fees, insurance premiums, utilities (if you don’t have a separate hookup), security system costs and depreciation (generally over a 39-year period). In addition, you deduct direct expenses, including business-only phone and fax lines, utilities (if you have a separate hookup), office supplies, painting and repairs, and depreciation on office furniture. But now there’s an easier way to claim the deduction. Under the simplified method, you multiply the square footage of your home office (up to a maximum of 300 square feet) by a fixed rate of $5 per square foot. You can claim up to $1,500 per year using this method. Of course, if your deduction will be larger using the actual expense method, that will save you more tax. Questions? Please give us a call. Many families hire people to work in their homes, such as nannies, housekeepers, cooks, gardeners and health care workers. If you employ a domestic worker, make sure you know the tax rules. Household workers under age 18 (unless working for you is their principal occupation). The domestic employee coverage threshold is adjusted annually for inflation, and there’s a wage limit on Social Security tax ($118,500 for 2016, adjusted annually for inflation). The tax is 6% of each household employee’s cash wages up to $7,000 per year. You may also owe state unemployment contributions, but you’re entitled to a FUTA credit for those contributions, up to 5.4% of wages. You don’t have to withhold federal income tax or, usually, state income tax unless the worker requests it and you agree. In these instances, you must withhold federal income taxes on both cash and noncash wages, except for meals you provide employees for your convenience, lodging you provide in your home for your convenience and as a condition of employment, and certain reimbursed commuting and parking costs (including transit passes, tokens, fare cards, qualifying vanpool transportation and qualified parking at or near the workplace). As an employer, you have a variety of tax and other legal obligations. This includes obtaining a federal Employer Identification Number (EIN) and having each household employee complete Forms W-4 (for withholding) and I-9 (which documents that he or she is eligible to work in the United States). After year end, you must file Form W-2 for each household employee to whom you paid more than $2,000 in Social Security and Medicare wages or for whom you withheld federal income tax. And you must comply with federal and state minimum wage and overtime requirements. In some states, you may also have to provide workers’ compensation or disability coverage and fulfill other tax, insurance and reporting requirements. Having a household employee can make family life easier. Unfortunately, it can also make your tax return a bit more complicated. Let us help you with the details. Help Support the Boyd Education Foundation! We are proud to be a part of this fun event that benefits students, teachers, and athletes in the Boyd community. 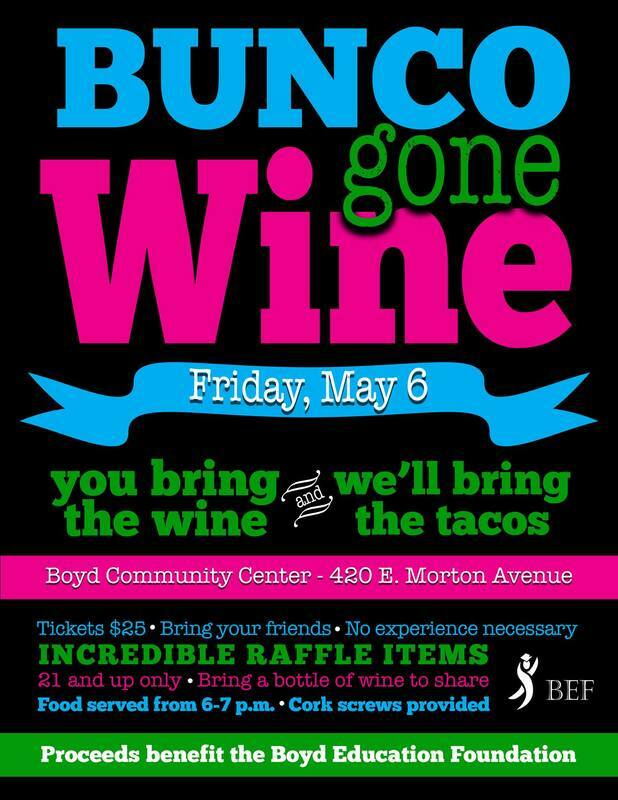 Check out the Boyd Education Foundation's Bunco Gone Wine event here - https://www.facebook.com/events/552262781621398/ The event will be held Friday, May 6th at 6 pm at the Boyd Community Center. Many people want to do something, however small, to contribute to a healthier environment. There are many ways to do so and, for some of them, you can even save a few tax dollars for your efforts. Indeed, with the passage of the Protecting Americans from Tax Hikes Act of 2015 (the PATH Act) late last year, a couple of specific ways to go green and claim a tax break have been made permanent or extended. Let’s take a closer look at each. Air pollution is a problem in many areas of the country. Among the biggest contributors are vehicle emissions. So it follows that cutting down on the number of vehicles on the road can, in turn, diminish air pollution. To help accomplish this, many people choose to commute to work via van pools or using public transportation. And, helpfully, the PATH Act is doing its part as well. The law made permanent the requirement that limits on the amounts that can be excluded from an employee’s wages for income and payroll tax purposes be the same for both parking benefits and van pooling / mass transit benefits. Before the PATH Act’s parity provision, the monthly limit for 2015 was only $130 for van pooling / mass transit benefits. But, because of the new law, the 2015 monthly limit for these benefits was boosted to the $250 parking benefit limit and the 2016 limit is $255. Energy consumption can also have a negative impact on the environment and use up limited natural resources. Many homeowners want to reduce their energy consumption for environmental reasons or simply to cut their utility bills. High-efficiency water heaters and stoves that burn biomass fuel. The provision allows a credit of 10% of eligible costs for energy-efficient insulation, windows and doors. A credit is also available for 100% of eligible costs for energy-efficient heating and cooling equipment and water heaters, up to a lifetime limit of $500 (with no more than $200 from windows and skylights). Going green and saving some green on your tax bill? Yes, you can do both. Van pooling or taking public transportation and improving your home’s energy efficiency are two prime examples. Please contact us for more information about how to claim these tax breaks or identify other ways to save this year. Could Your Debt Relief Turn Into A Tax Defeat? Restructuring debt has become a common approach to personal financial management. But many people fail to realize that there’s often a tax impact to debt relief. And if you don’t anticipate it, a winning tax return may turn into a losing one. Income tax applies to all forms of income — including what’s referred to as “cancellation-of-debt” (COD) income. Think of it this way: If a creditor forgives a debt, you avoid the expense of making the payments, which increases your net income. Debt forgiveness isn’t the only way to generate a tax liability, though. You can have COD income if a creditor reduces the interest rate or gives you more time to pay. Calculating the amount of income can be complex but, essentially, by making it easier for you to repay the debt, the creditor confers a taxable economic benefit. 1. Nonrecourse. Here the lender’s sole remedy in the event of default is to take possession of the home. In other words, you’re not personally liable if the foreclosure proceeds are less than your outstanding loan balance. Foreclosure on a nonrecourse mortgage doesn’t produce COD income. 2. Recourse. This type of foreclosure can trigger COD tax liability if the lender forgives the portion of the loan that’s not satisfied. In a short sale, the lender permits you to sell the property for less than the amount you owe and accepts the sale proceeds in satisfaction of your mortgage. A deed in lieu of foreclosure means you convey the property to the lender in satisfaction of your debt. In either case, if the lender agrees to cancel the excess debt, the transaction is treated like a foreclosure for tax purposes — that is, a recourse mortgage may generate COD income. Keep in mind that COD income is taxable as ordinary income, even if the debt is related to long-term capital gains property. And, in some cases, foreclosure can trigger both COD income and a capital gain or loss (depending on your tax basis in the property and the property’s market value). Several types of canceled debt are considered nontaxable “exceptions” — for example, debt cancellation that’s considered a gift (such as forgiveness of a family loan). Certain student loans are also considered exceptions — as long as they’re canceled in exchange for the recipient’s commitment to public service. Other types of canceled debt qualify as “exclusions.” For instance, homeowners can exclude up to $2 million in COD income in connection with qualified principal residence indebtedness. A recent tax law change extended this exclusion through 2016, modifying it to apply to mortgage forgiveness that occurs in 2017 as long as it’s granted pursuant to a written agreement entered into in 2016. Other exclusions include certain canceled debts relating to bankruptcy and insolvency. The rules applying to COD income are complex. So if you’re planning to restructure your debt this year, let us help you manage the tax impact. Be sure to check out the feature on Siegmund & Associates in this month's Living Aledo. It is a great way to learn about who we are, what makes us unique and our dedication to building relationships with our clients. • Gains and losses. A capital gain or loss is the difference between your basis and the amount you get when you sell an asset. Your basis is usually what you paid for the asset. • Net investment income tax (NIIT). You must include all capital gains in your income, and you may be subject to the NIIT. The NIIT applies to certain net investment income of individuals who have income above statutory threshold amounts: $200,000 if you are unmarried, $250,000 if you are a married joint-filer, or $125,000 if you use married filing separate status. The rate of this tax is 3.8%. • Deductible losses. You can deduct capital losses on the sale of investment property. You cannot deduct losses on the sale of property that you hold for personal use. • Long- and short-term. Capital gains and losses are either long-term or short-term, depending on how long you held the property. If you held the property for more than one year, your gain or loss is long-term. If you held it one year or less, the gain or loss is short-term. • Net capital gain. If your long-term gains are more than your long-term losses, the difference between the two is a net long-term capital gain. If your net long-term capital gain is more than your net short-term capital loss, you have a net capital gain. • Tax rate. The capital gains tax rate, which applies to long-term capital gains, usually depends on your taxable income. For 2015, the capital gains rate is zero to the extent your taxable income (including long-term capital gains) does not exceed $74,900 for married joint-filing couples ($37,450 for singles). The maximum capital gains rate of 20% applies if your taxable income (including long-term capital gains) is $464,850 or more for married joint-filing couples ($413,200 for singles); otherwise a 15% rate applies. However, a 25% or 28% tax rate can also apply to certain types of long-term capital gains. Short-term capital gains are taxed at ordinary income tax rates. • Limit on losses. If your capital losses are more than your capital gains, you can deduct the difference as a loss on your tax return. This loss is limited to $3,000 per year, or $1,500 if you are married and file a separate return. • Carryover losses. If your total net capital loss is more than the limit you can deduct, you can carry over the losses you are not able to deduct to next year's tax return. You will treat those losses as if they happened in that next year. Yes, that is too good to be true, but we got your attention. As you are painfully aware, it is extremely difficult to earn much, if any, interest on savings, money market funds, or CDs these days. So, what are we to do? Well, one way to improve the earnings on those idle funds is to pay down debt. Paying off a home loan having an interest rate of 5% with your excess liquid assets is just like earning 5% on those funds. The same goes for car loans and other installment debt. But, the best return will more likely come from paying off credit card debt! We are not suggesting you reduce liquid assets to an unsafe level, but examine the possibility of paying off some of your present debt load with your liquid funds. Paying down $100,000 on a 5% home loan is like making more than $400 per month on those funds. 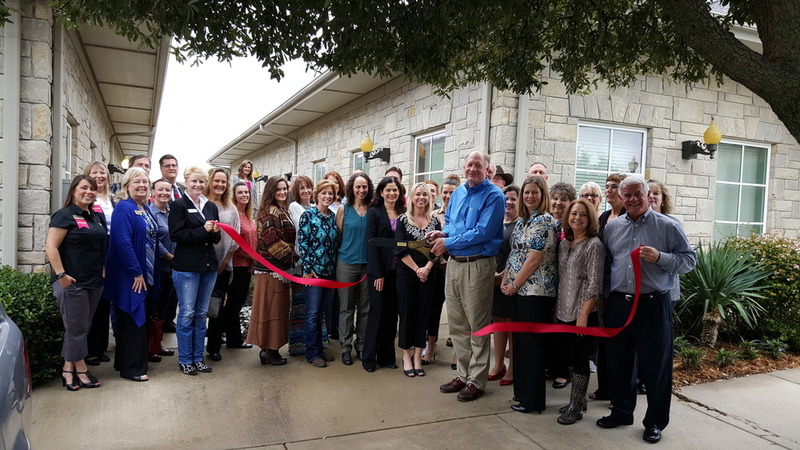 We had a great turnout to our ribbon cutting with the East Parker County Chamber of Commerce on Thursday. We are thrilled to be part of this organization.